IFD: With Winter now upon us, it would be nice to be heading off somewhere warm for some carping. 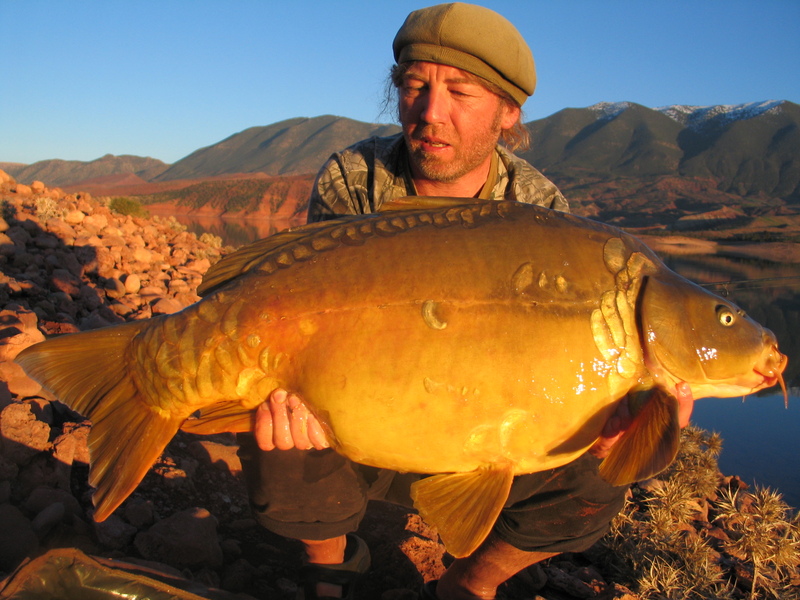 With cheap flights on the internet, Morocco has become an affordable destination to get some carping in truly unique surroundings. 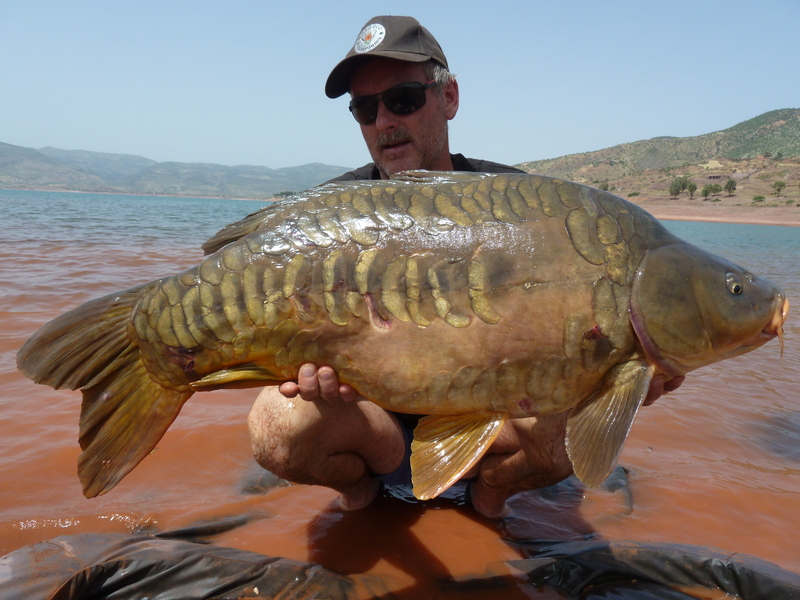 With carp present to 73lb, pike, perch and black bass you can see why Bin el Ouidane in Morocco is a very desirable destination to visiting anglers. 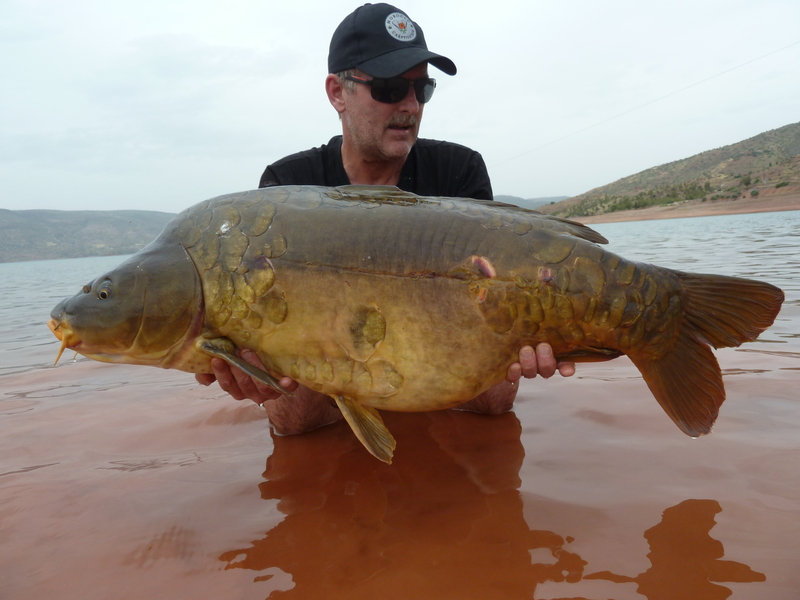 So we asked our friend Alijn Danau to fill us in on carping in Morocco. 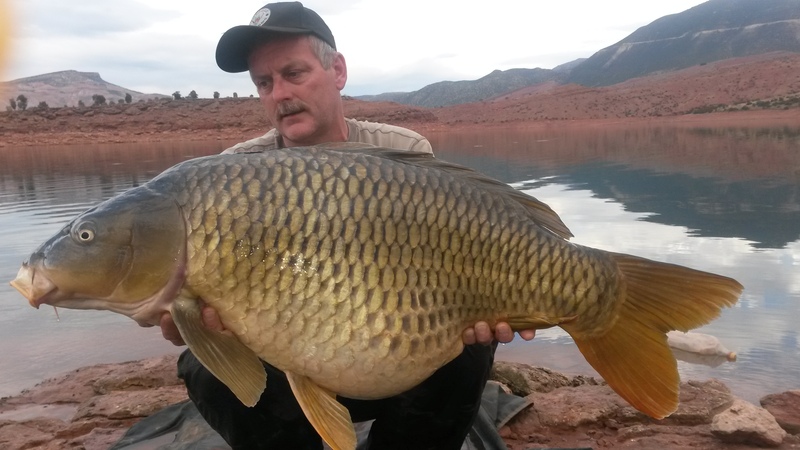 Alijn is the editor of Belgian carp mag VBK and one of the top carpers in Europe, he is also the UK agent for Morocco Carp Fishing and has fished there many times so who better to help us out. Where do you fly into, and how long is the drive to Bin el Ouidane? Either Marrakech or Casablanca. From both airports it’s about 3 to 4 hours drive depending on the traffic. Who can take care of the ground arrangements over there, Bivvy, tackle hire, and bait etc? The organisation provides rods (3 per person), bivvies, landing net, unhooking mat, buzzer bars or rod pod your choice, boat and echo sounder, shelter, gas stove and cooking equipment, chairs and table, sun shelter, bedchair. This is all included in the price. Electric motor and batteries can be hired at 100 euro/week. Each day bailiffs are passing by, either by jeep or boat depending where you are fishing to bring you fresh food. You can order anything and they will bring it to you on their next stop a day later. You must bring your own reels, a small tackle box, and a sleeping bag. What does the lake and it’s surroundings look like? A bit similar to Cassien and in France but more adventurous. It’s very scenic with the Atlas mountains all around the lake. In Spring it’s very green with lots of flowers and people often tell me how different it looks to what the expected from a lake in Morroco! Have you any idea of how many fish are in it and to what size? It’s impossible to say as the lakes is 1000 of acres big. There must be thousands in all sizes, from small to big. Biggest so far caught was a 73 lb+ mirror. Most of the fish are commons. 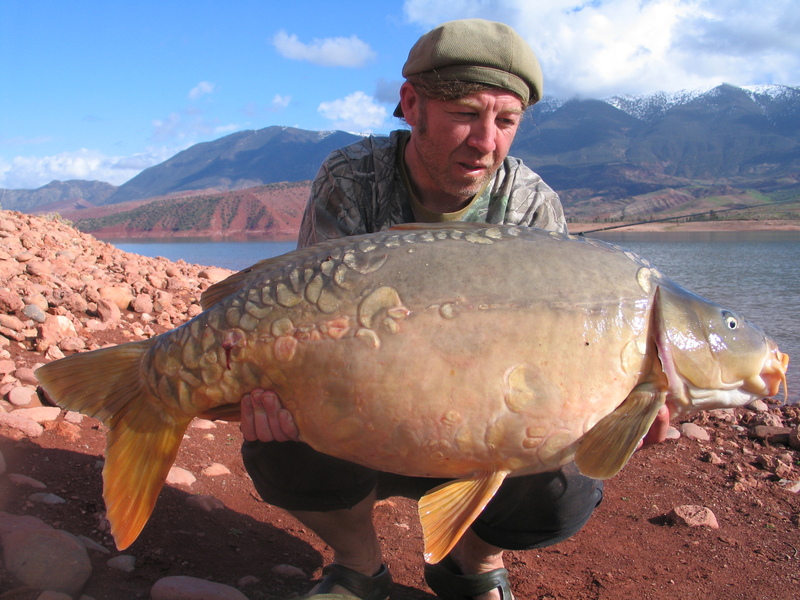 The mirrors are in the minority but they look absolutely gorgeous, often with lots of big scales on their bodies. 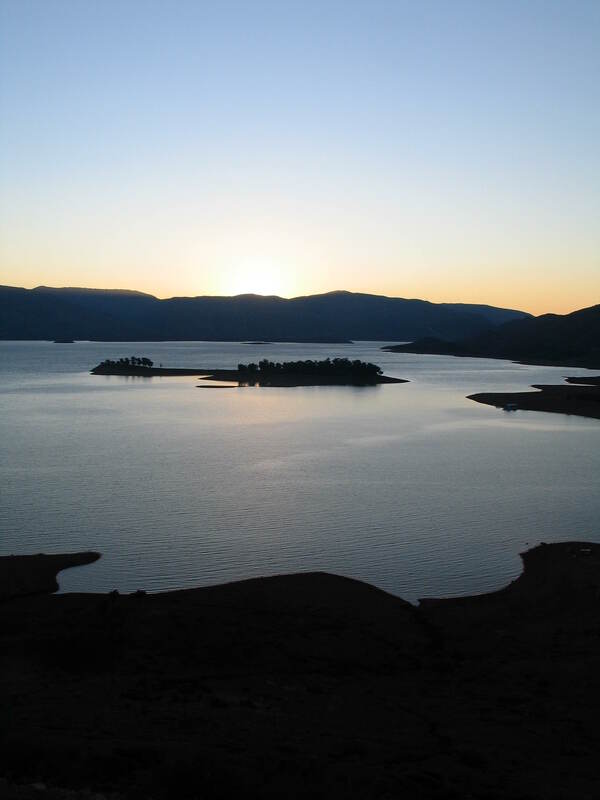 Whats the climate like there for fishing and when would be the best times of year to fish there? 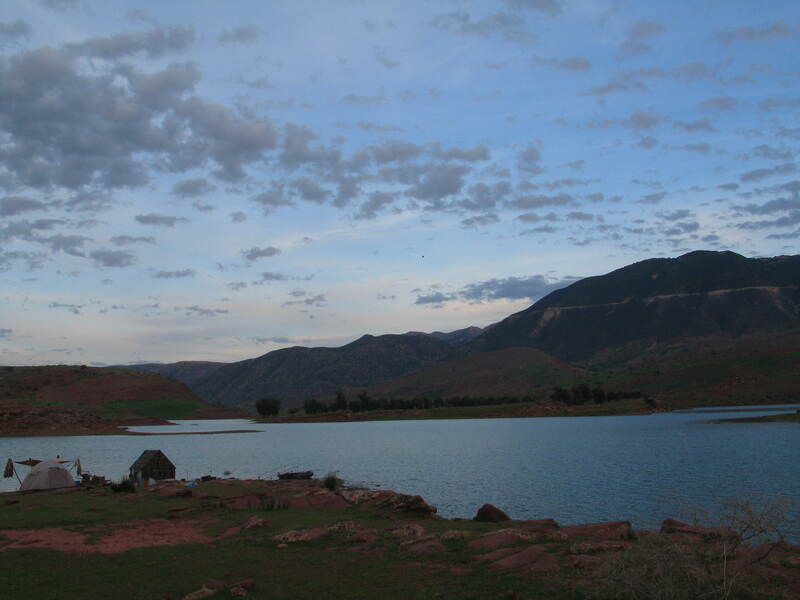 As the lakes lies in the Atlas mountains, the climate is rather mild for Moroccon standards, however, in summer it can be very hot. You can catch all year round but Spring, autumn and even winter are favorable. I fished it several times in the middle of winter (January and February) and although there is snowon the mountain tops, the water temperature hardly drops beneath 12°C. I had one of my best sessions on there at the end of January. How would you recommend getting food supplies? The organisation supplies every angler with fresh food every day! Breakfast, lunch and a warm meal in the evening. If you need anything special or extra, that can be arranged. Have you any advice on tactics for this water? 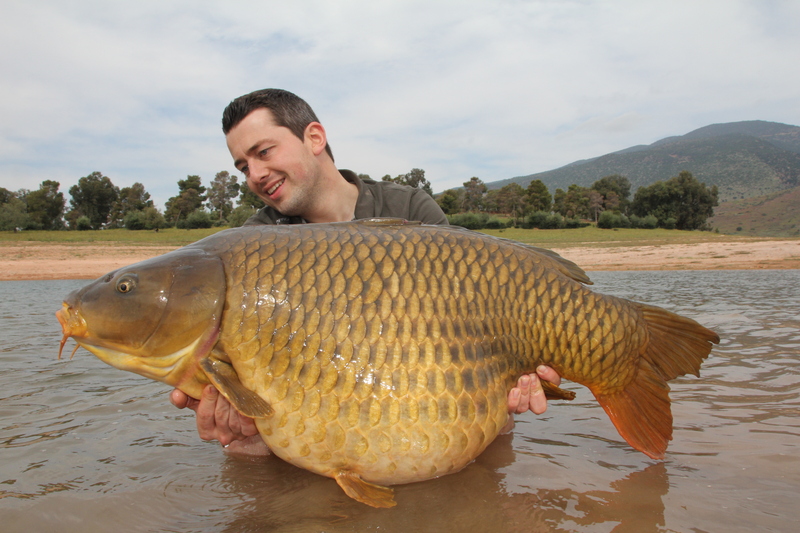 Same tactics you use on big French waters work well here. The fishing is of course rougher and less sophisticated than the approach you use on the small continental waters so tackle and gear must be strong in the first place! Bigger hooks, heavier leads, stronger braid etc. What was your favourite session on Bin el Ouidane? The first one as it was all new and so different from what i had experienced before. That was way back in September 2006. I had around 40 fish that week, none of them real monsters but some of them were absolutely lovely looking linears and fully scaled mirrors. The food was lovely, the weather was nice, life was perfect! 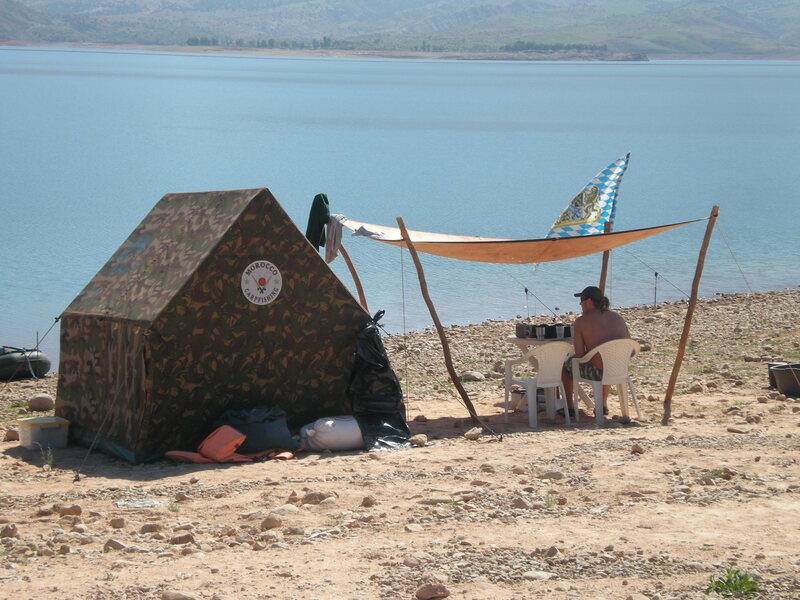 This entry was posted in Carp, Travel and tagged Alijn Danau, Bin el Ouidane, Morocco carp fishing. Bookmark the permalink.